Join us for TWO performances of How Da Grinch Wen Steal Christmas – a pidgin adaptation of the Dr. Seuss Christmas classic How the Grinch Stole Christmas! 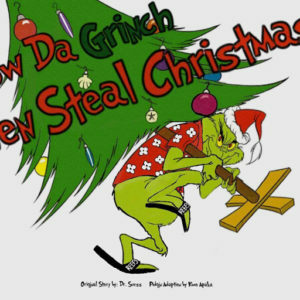 October 31, 2016March 6, 2018Paradise Performing Arts Center on How Da Grinch Wen Steal Christmas at PPAC! October 31, 2016March 6, 2018Wailana Walker on How Da Grinch Wen Steal Christmas at PPAC!